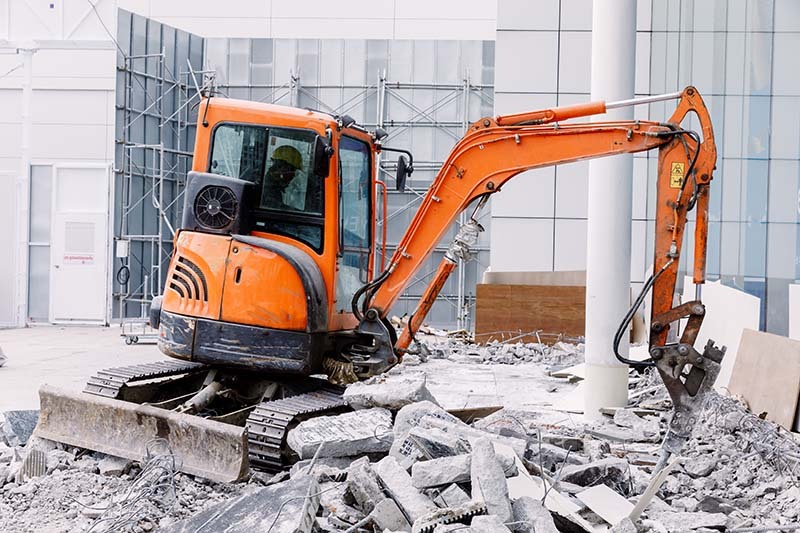 Many of our commercial jobs first require some demolition, whether it is Concrete Floors, Exterior concrete, Structural Concrete, Concrete Walls or entire buildings, we can remove any existing foundation and or structure. We can often start new concrete demolition projects with as little as 36 hours’ notice if needed. Iron Trident Concrete provides efficient and cost-effective demolition services. Our highly skilled demolition crews will do any required concrete breaking removal, and structure dismantling, we will sort recyclable buildings materials we are able, and also remediate your site after the work is complete and ready for the next phase. Future Construction workers will have a clean, safe work environment, ultimately resulting in savings for future construction. Our pricing is extremely competitive, our crews are trained in the newest technologies and use modern equipment, and because we offer such a wide array of concrete construction services, you will need few subcontractors, resulting in quicker transitions through the construction process, making Iron Trident Concrete market leading in efficiency. 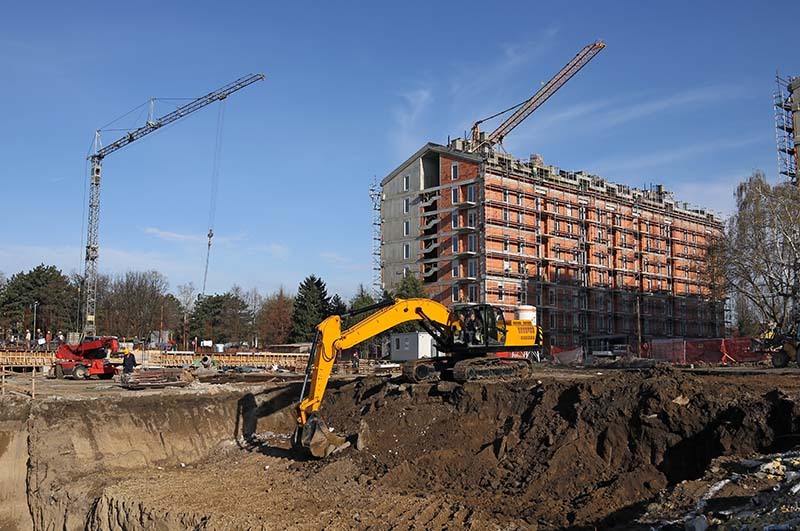 We also offer Specialty Concrete Demolition services that are Virtually dust free and fumeless, perfect for inside conditions, so other workers can continue to work while demolition is in progress. 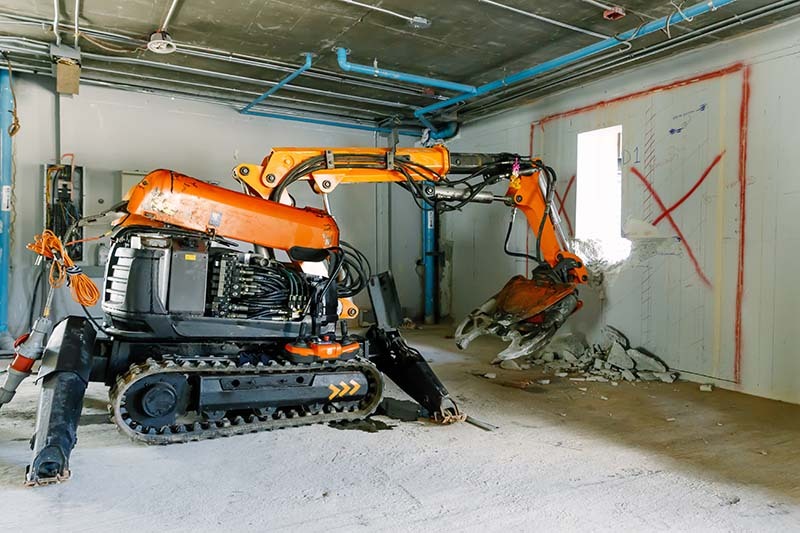 We are able to fit our specialize demolition equipment through doorways and upstairs, not possible from the conventional concrete break and removal equipment. We are able to remove concrete in confined areas not possible with conventional Concrete demolition equipment. Certain situations we can break and remove concrete at under 60dB, the noise level of a typical conversation, so not to disrupt nearby businesses and work any hour of the day required. Contact us for more details on Speciality Demolition. 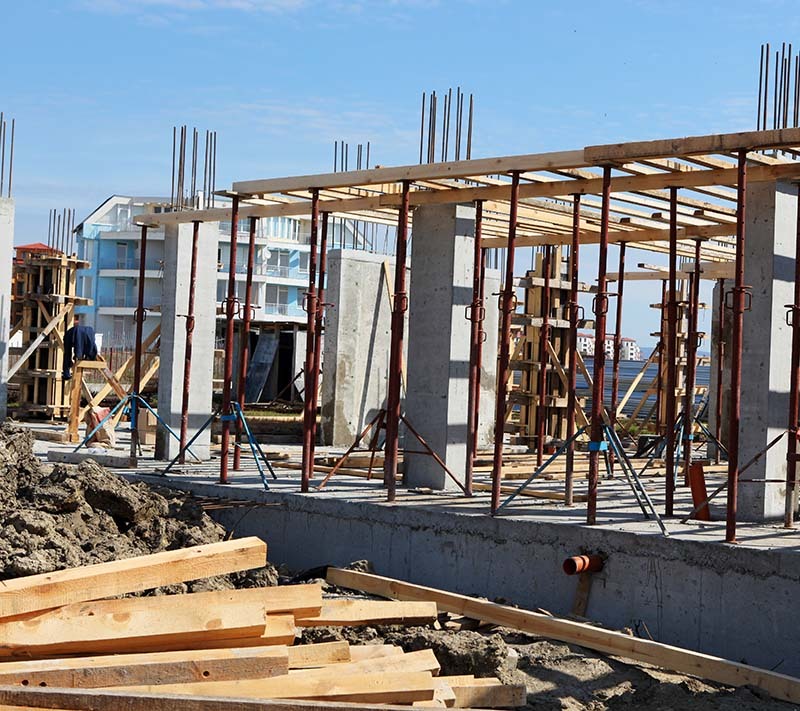 Excavation is often required in commercial construction that is why Iron trident concrete also offers excavation services if needed for our commercial clients. Excavators in size from mini rubber track to 30 Ton. Commercial Concrete Forming and finishing is the very core of our commercial concrete services. 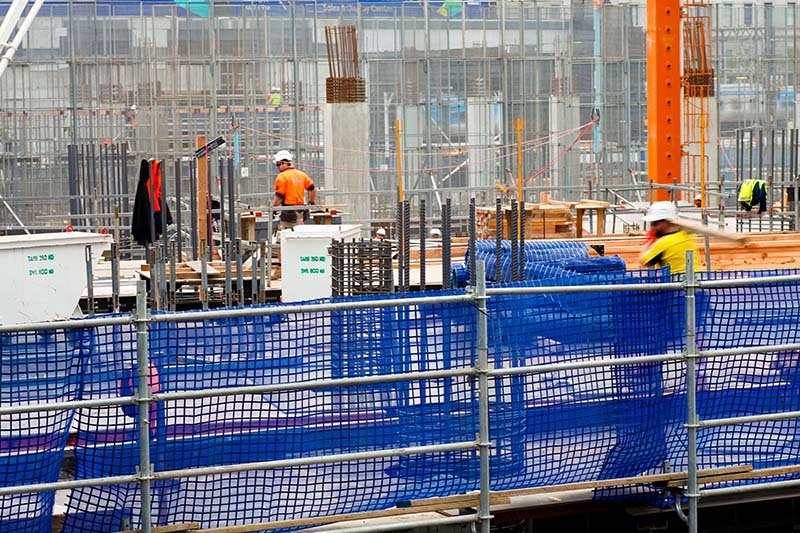 We offer a wide range of concrete formwork and concrete cribbing contracting. Interior and exterior concrete, with emphasis on architectural concrete elements such as concrete feature walls, contemporary concrete design, cast in place concrete steps and stairs for any application. Our concrete is built to the highest standards with emphasizes on cost-saving methods and safety. The following is a partial list of the many commercial concrete services we offer…. 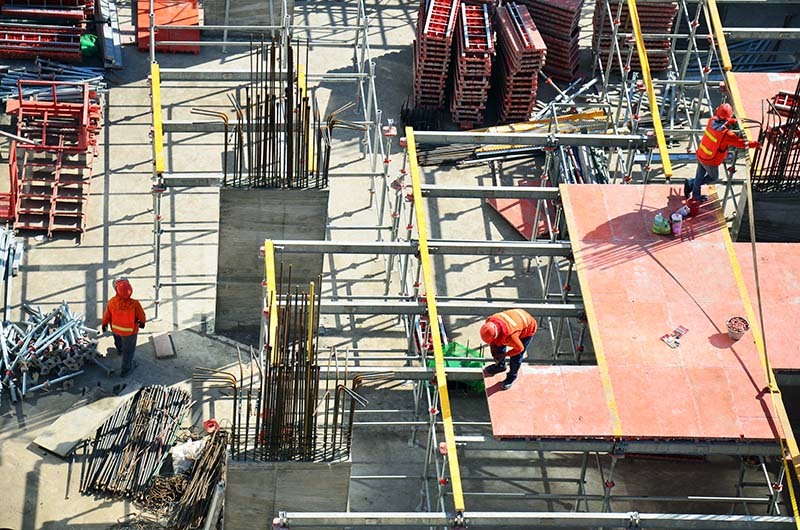 We have over 20 years experience in commercial concrete we can accomplish any commercial concrete tasks needed to complete your job on time and on budget. We love a challenge and look forward to bringing your next job from a vision, to a plan than a reality. Contact us today for more information on our commercial concrete contractor services.